The first time I heard a break-down of the Graves Model, I had one of those moments. I was at an Eben Pagan/Wyatt Woodsmall conference on leadership (in 2009) when Eben just casually started talking about this model for seeing progress. It was peppered in among the rest of the content and the room lit up so much that he realized there was enough interest for an entire event around the topic, which they immediately began planning. I clearly wasn’t the only person impacted by it. Since that time I’ve been a covert evangelist for the Graves Model. It’s possibly one of the most powerful tools I have in my arsenal, and I can totally envision how a global understanding of this model could literally save lives, as well as increase the quality of those lives. First, let me explain how it fits in with the rest of typology. 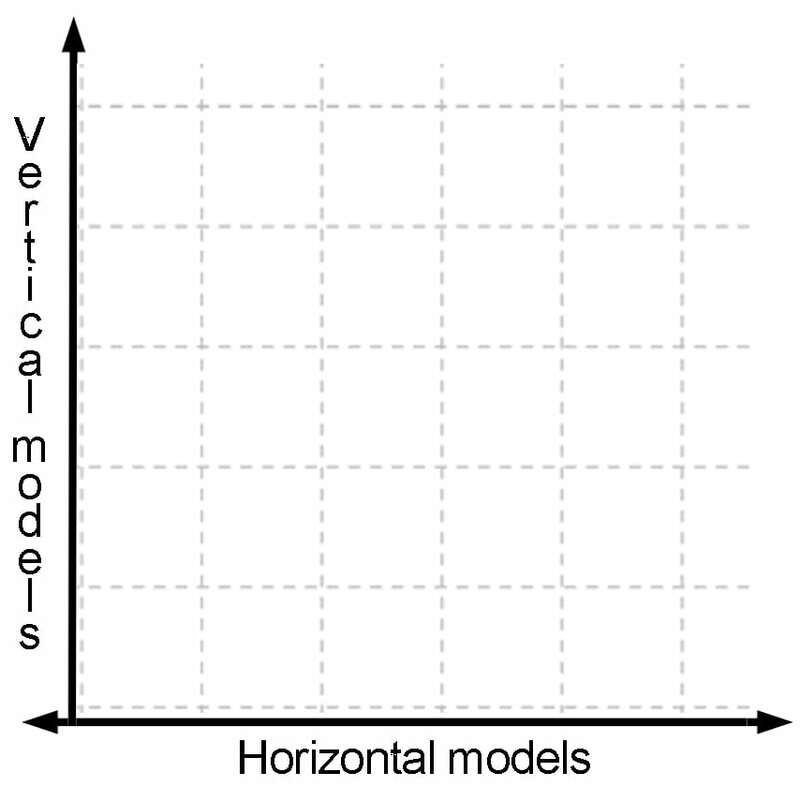 There are two types of models: horizontal and vertical. Horizontal models assume that people are at roughly the same level of development, and so study how we’re the same and/or different in our wiring all other things being equal. Vertical models specifically look at how people are at varying levels of development, and study the progress we make as individuals and as societies. 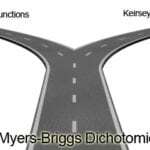 Myers-Briggs is a horizontal model. It compares/contrasts how people think, make decisions and behave, but it doesn’t really take into account their perspectives of reality. If you’re a 15 year old ISTP or a 45 year old ISTP, the profile will read the same. Enneagram is a hybrid of the two. A 15 year old Enneagram 1 will have the same profile as a 45 year old Enneagram 1, but their specific level of development within the type may vary greatly. The Enneagram is primarily about awareness and transcending the fixations of your type, and age will sometimes be a help in this (but not always!). 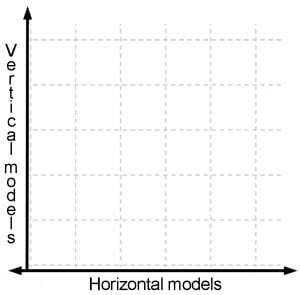 The Graves Model, however, is fully vertical. Its primary interest is in your worldview and just how expanded your awareness about life in general has become. Most people change quite a bit between the ages of 15 to 45 as their experiences allow them to take in more ‘territory’. So, the profile for an ISTP Ennneagram 1 may read the same for a 15 year old as a 45 year old, but their Graves Model profile will look very different. The fascinating thing about the Graves Model is that it has implications for both individuals and for societies, as a whole. Individual people mirror societies, and societies mirror individuals. You can think of them as the “micro” and the “macro” for how people behave. Since individual people are more nimble than whole societies (think: the difference between a tugboat and a barge), individual people have the capacity to outpace the culture or society they live in with their growth. They then become an example of where the society, itself, is headed. To say it in an easier way, if you can chart the path that people at the highest levels are at, you can predict where people as a whole are headed. That’s pretty huge. Anytime you know where things are headed, the ability to plan and guide the journey exponentially increases. The other cool thing about the Graves Model is its diagnostic abilities. Let’s pretend you have two generations of people – say, a father and a son – who cannot see eye-to-eye. Everyone says they’re carbon copies of each other and they think identically – in fact, they’re “too much alike,” the assumed cause of misunderstandings. However, seen through the lens of the Graves Model if they are at two different developmental levels, when one points something out, the other one will not be able to see it. It’s simply not in their visual range. If one is exploring territory that the other doesn’t even know exists, their ability to see ‘eye-to-eye’ becomes impossible: for the one, the territory is obvious, and for the other it’s inaccessible. It’s not that they’re necessarily disagreeing, it’s that they’re not having the same conversation and they don’t even know that. Now, we don’t know what we don’t know, and when someone is trying to point something out that is beyond our current level of understanding, it’s the rare bird that will calmly and reflectively think, “I guess I just need to do a little more development to see their perspective.” Most people when they can’t see what you’re pointing out will say, “You’re an idiot” (if not out loud, at least to themselves) because you may as well be talking about purple elephants wearing feather boas. When you take that same analogy and apply it to whole societies and cultures, you can see why we as humans are so convinced of our empirical rightness and, sometimes, hell bent on destroying each other. You’re WRONG (because I can’t see what you’re seeing), and I’m RIGHT (because what I’m seeing should be as obvious to you as it is to me). 1) Gives us a road map for where we’re heading, as both individual people and as whole societies. 2) Helps us understand why people clash, even if they’re similar in all other ways. It does other stuff, too, but we’ll get to that in a later article. First, the model. Be sure to listen to the Personality Hacker podcast on the Graves Model for more information. Spiral Dynamics is arranged hierarchically from 1 – 8. (There are more levels after 8, we’re just not there yet as a species.) It starts from the bottom and goes up. Beige – Survival Level. Everything is about the individual and their personal survival. Examples – birth to 4 years old, people who are homeless and have little sensitivity to other people, feral children. Purple – Tribal Level. The focus is now on the ‘tribe’ instead of just the individual. On a “micro” level, this is where a toddler starts to see themselves as part of a family/group. On a “macro” level, this is when tribes start to form. Identity becomes about ones place in the tribe, and it’s vital not to be kicked out. Survival depends upon it. Spiritual development can be observed (how gods impact us as humans, magical thinking). Red – Warlord Level. When one or two people stand out from the rest of the level 2 tribe, they begin to get a lot of attention and are regarded as leaders. 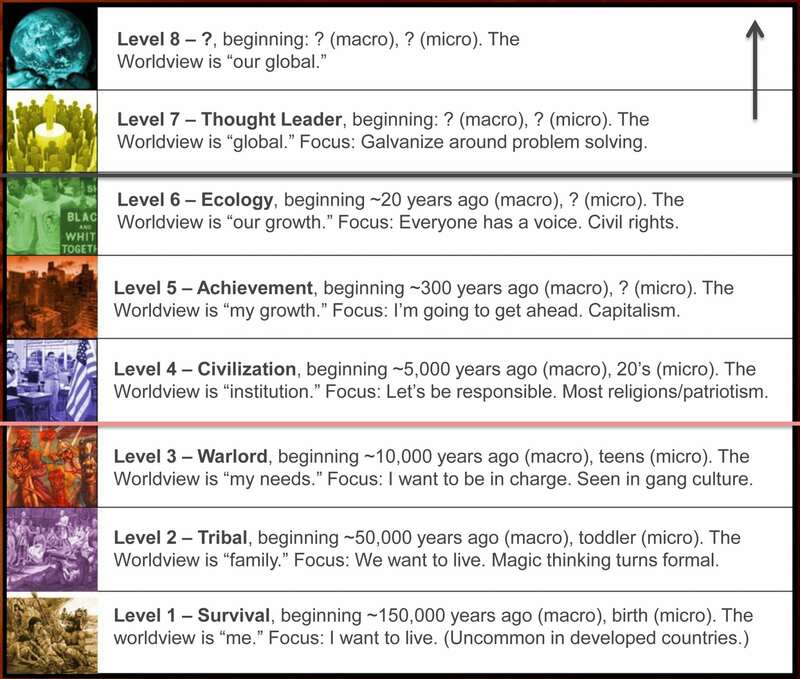 They then move up to level 3, which goes back to a more ‘me-centric’ focus. On a “micro” level, this is when a teenager enters their rebellious years. While it may seem a cavalier or aggressive time period in life, it’s where individuals learn how to stand-up for themselves and their needs. Blue – Civilization Level. When 3’s start to run into each other and realize there are others not so easily dominated, they begin to create territory lines to indicate domain. Law and rule are created, and warlords become more ‘civilized’. On a “micro” level, this is when we learn to identify with an institution or paradigm “bigger than us.” We’re less ‘me-centric’ and go back to being ‘we-centric’. On a “macro” level, civilizations create armies and better ways to enforce law. Orange – Achievement Level. Similar to ‘stand out’ 2’s becoming 3’s, ‘stand out’ 4’s become 5. 5 leaders see resources as limitless, something they can manipulate and master. On a “macro” level, this is the birth of capitalism. On a “micro” level, the individual goes back to a ‘me-centric’ focus. They discover there’s no reason to limit themselves. Many people keep themselves from going to this level fearing it will make them ‘money-hungry’ or unethical. Science and technology become very important. Green – Ecological Level. Just like when 3’s bump into each other they start forming 4, when 5’s form groups they often graduate to 6.These are individuals who have met their goals.They have a more ecological perspective and start to think in terms that are ‘we-centric’ again: community and how they can give back to the world. They’re more concerned about the impact on a holistic manner. They learn how to give back. The idea of tolerance is introduced. Individuals in this level find it very challenging to accomplish their mission because they’re busy listening to everyone’s perspectives. Yellow – Flex-Flow Level – Stand out 6’s often graduate to 7. Don Beck calls this level “Flex-Flow”, and indicates there’s a graduated level of systemic thinking, but with nodes encompassing much longer timelines. Though it goes back to an ego-centric focus, ego includes all of humanity. Goals are made and calibrated toward that are unlikely to be experienced in the 7’s lifetime. Having already traversed the First Tier, they are able to communicate with individuals in different levels in order to get what they want in a faster and more productive way. There is speculation on what level 8 looks like, and some individuals that claim to be level 8. I’d reference the related work of Spiral Dynamics to get a better view of 8. I, personally, have only met a very few number of 7’s, and no 8’s. Of course, I’m not an 8, myself, so I may completely have missed one if they came into my orbit. Since I have no personal experience with 8’s, I just use a lot of question marks when referring to them. Conceptually, there are limitless levels, but as a species we’ve only really gotten to about 7. That is, there are a couple of people here or there that have reached 7, so we ‘kind of’ know what it could possibly look like. At this time period in history, though, the average level for the human species is 4. Within highly developed countries there are some highly developed groups that are 6, and they tend to be leaders in most industries. They are also the minority, though their numbers are growing fast in the United States, Europe, Australia, etc. Even in these countries, 6 is not the norm. They’re just becoming the new standard. To give you more context, in the United States it seems that levels 4/5 make up roughly 70-80% of the population. Level 6 comes out around 10% (and growing fast), and everyone else is either level 3 or lower. Level 3’s are usually teenagers, and if they’re older than teenagers they’re often gang members, or that construction worker friend of a friend who seems like a douchebag. I’m not saying that construction workers are all Graves 3 and douchebags. However, 3’s often work in manual labor careers and – as they are in the ‘warlord’ level – to other levels often appear to be douchebags. There are some adult level 2’s (as most in this country are children) peppered around trailer courts, Section 8 housing and in mountain communities here and there, and there is a minute number of level 1’s (the level generally represented by infants) that are serially homeless. If that sounds really condescending, I want to clarity that it’s not because lower levels are intrinsically ‘less than’ or worse. In Spiral Dynamics the numbers have been replaced with colors for just this reason: to remove the prejudice we have about ‘higher and lower’ equating with ‘better and worse’. We generally can’t choose our current level, there are just too many influences: culture, time period in history, family background, personal experiences, etc. The only time we have a “quasi-conscious” choice is when we’re on the cusp of going to the next level and we start to resist it. Otherwise, unless we have the luxury of actively choosing a personal development path, our Graves level is somewhat arbitrary. For example, tribes in Papua New Guinea are generally at Graves 2 or 3 (Beige/Red in Spiral Dynamics), whereas most people in developed countries are 4 or 5 (Blue/Orange). This has nothing to do with personal intelligence, capabilities or otherwise. It has to do with opportunity and how the cultures have evolved over time. 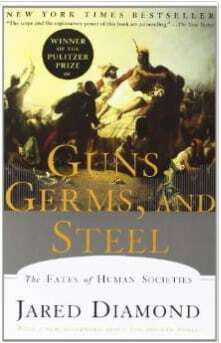 There’s a spectacular book called “Guns, Germs and Steel” by Jared Diamond which discusses the reasons some cultures explode into technological growth, while others feel like anachronisms from thousands of years ago. Geography, land resources and the ability to cross-pollinate ideas with other cultures are major influencers, whereas superiority of race or culture aren’t. So, are Graves levels 4/5 superior to 2/3? 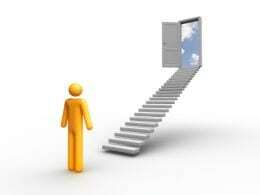 In terms of generating opportunities, absolutely. But the people who occupy those levels as individuals are not superior or ‘better’. What do Graves 6’s look like in comparison? Though a small percentage of the general population, they are powerfully influential. They’re at the forefront of eating higher quality foods for both personal health and to increase the quality of the the lives of animals. They are the forefront of alternative energy sources, recycling projects and holistic or alternative medicine. They’re what we call the “creative class,” and are counterculture in a way that sees a bigger picture. They think in ecology, so systems are very important to them. Since they’ve already been through Graves 5, they know how to accomplish, achieve and gain resource. Graves 6 is where most of the population is headed, should they choose to keep developing in their lifetime. Knowing your Graves level is one of the highest leverage pieces of information you can have. It not only helps you understand where you’re currently at in your worldview, but it gives you a sneak peak into where you’re headed. It also helps us understand that not everyone is seeing the same terrain we are, and is yet another tool for reconciling differences between people. Where do you think you’re at on the Graves Model? p.s. To really understand this model and its implications in your life, check out the program Your Personality: The Owner’s Manual where we dig deep into this model and how it relates to your personal path. Years ago, I read a John W. Campbell Editorial “Tribesman, Barbarian, Citizen” (http://www.baen.com/Chapters/9781625793171/9781625793171___9.htm), and wondered how the progression might continue. This model is a perfect answer–Campbell describes levels 2-3-4. As for me–level 4? 6? Hard to tell. Thank you for sharing such great information about Spiral Dynamics! I first heard about it through The Diamond Net YouTube videos and became very interested in it. Over the past few months I have been searching to learn more about this amazing model and found your podcasts the most mature and well defined among what exists in the web today. After I finished my first memoir which tells my life stories dealing with dictatorship and authoritative culture in Iran, I started writing my second memoir to tell my immigration stories. The more I learn how SD model works, the more I understand how I grew over the years moving from red to blue, and a little bit of the higher levels. It also gave me a sense of inner peace that I as an individual at the macro level and the society at the macro level did the best they could regarding the maturity of the values and where we fell in this model. This is certainly a great tool to overcome the inner conflicts and improve communications at the micro and macro level. Thank you for spreading the words so understandably! This is a fascinating concept. At the moment I feel like I’m somewhere in 5 but surrounded by a 4 mentality and with parents who are probably 6s. I have a lot of ambition and drive to succeed as an individual (I’m a currently struggling professional singer in the UK. Also an INTP, if that’s relevant) but circumstances are holding me back and I don’t want to conform any more. I also feel a little resentful of my parents and their 6-like views. I do, in fact, agree with them on environmental issues, the NHS etc. I consider myself a liberal and an egalitarian. However, all I want to focus on now is my career and my individual freedom and I have no desire to be part of a touchy-feely community or concern myself too much with outside problems. My parents have always made me aware of the injustices of the world and how they felt was the best way to live (treating everyone fairly, being vegetarian, no car, always recycling). I’d sort of considered that imposed lifestyle may have been part of my passage through 4, as I didn’t question it in any great depth until I was in my early 20s, and felt guilty if I ever deviated from it. I still agree with this lifestyle in theory, but right now it seems as if there are more important things I could be doing just for myself. It seems like having these 6-like concerns is for the rich/contented/those who have already made their mark on the world. I don’t have the energy right now. Maybe I’ll come back to them when I’m older. I’ve been held back due to illness and now need opportunities to achieve my goals, which I refuse to abandon. I’ve never really cared much about finding a partner, and I don’t want children, so I am otherwise unhampered. My drive and goal is to be a full-time professional opera singer. Despite earlier problems, it is theoretically in my reach with the right opportunities. I don’t care about being vastly rich, but if wealth ever comes my way I shan’t be disappointed. I consider that, because of my chosen profession, (and because I currently also work in an academic library) my surroundings are less obviously corporate/capitalist/5 than one might expect. Of course, they are these things, but not in quite the same way as say, an office in a firm would be, so I feel quite detached from traditional 5, I think. I feel alone in my possible 5-ness for much of the time. My colleagues and other associates seem mostly to be contented 4s, and a few 6s – assuming I have understood this concept correctly. This could be due to age as most of them are older, or else they settled into their careers at a younger age than I as they had no obstacles to overcome. I have in the past attempted to be conventional and conventionally dutiful outside the home, too, joining various groups (which I eventually abandoned), and moulding my behaviour. I was intrigued with the idea (was it said by you, Antonia, in the podcast?) that 4, though traditionally conservative, can also be manifested in the idea of the Social Justice Warrior. I used to be involved with such people until I realised their narrow-minded dogmatism can make them just as bad in some ways as their opposites on the Right. It’s as if the SJWs have taken good 6 ideals of equality but processed them in a 4 mentality, subverting and making them less inclusive, as they lay down rules about who is/isn’t allowed an opinion, and rejecting those who don’t conform. Though I do have some strong beliefs, I also see a lot of shades of grey or different possibilities. I am curious, always trying to see both sides of an issue before making a decision, and try to be as objective as possible, putting emotional biases aside. However, I am also sceptical. I like to gather as much information as possible, and I’m happy to have my mind changed if evidence suggests a different outcome. I’m not claiming to be perfect at this, but it’s always my preferred method of analysis. I’ve never been happy with ignorantly following, but I’d like to think I don’t assert myself aggressively or whilst being swayed by the more wayward emotions of my youth. Have I understood the model correctly? I am not in favour of the unpleasant aspects of global 5, such as burning fossil fuels or exploiting people at all costs. If I am in 5, it is purely personal – I’m currently experiencing a great desire to cut myself off from all distractions to focus on what I can achieve. I am aware that this is selfish, and that terrible things are happening in the world. I used to feel very guilty about all this due to my upbringing. These days I seem to be emotionally detached from it much of the time even though I consider cruelty illogical. I don’t want to see anybody hurt, but I don’t want to engage with anybody either. I admit that if I am in 5, its single-mindedness can bring out a lot of unpleasantness in people, including myself. I accept this failing, but refuse to be emotionally swayed by it. I think there may be a trend these days for struggling between individuality and community. I feel a tug between ‘duty’ (to uphold equality, diversity, and the environment) and ambition (unhampered personal success). Is that a common concern these days? I aspire to Level 7 due to its balance and inclusiveness whilst still retaining individuality, but I know I’m definitely not there, and may never be. When I watch ‘Star Trek’ (especially TNG, or Voyager) I wonder which level is being represented. They have this wonderful unspoken egalitarianism and positive kind of meritocracy. I request that my comments be deleted on account of them being garbled nonsense. indeed. But don’t worry too much. Oh my… you seem so INTP. Me too!! 🤗 I loved your interpretation about SJW. It makes so much sense to me. Modern Grave’s Tests, test from 2-8. I always reach 8-7´. I would say, that at 8, looking at myself, there is a higher sense for intuition. You live life more from your heart. You know, that every problem contains its solution and vice versa. It’s nothing special. More like a holistic consciousness. You are aware of the illusionary nature of time and space, so you start to think and act more globally. There will be more 8’s with the younger generation. You may suffer from time to time, and have depressions, but then sometimes you will experience “ZEN”, also called the experience of “One-ness”. So as an 8, you can temporarily break through to level 9= CORAL(Coral is a spiritualist LEVEL), for a period of time. Sometimes just minutes, other times for hours. From the Spiral Dynamics perspective, by Ken Wilber, we already know that we can also break through to Levels as high as 9-12 . I experienced Level 12(clear light) once, it is the experience of purest, transparent light. In this state, you are still connected to your material body, but at the same time freed from it, it is a transcendental experience of eternity. It is the awareness of deep enlightenment. Grave’s model is a little bit outdated, because it doesn’t even include level 9=CORAL. The thing is, we just can’t descripe 9-12 with our normal vocabulary..you have to experience it for yourself, there are simply no words to describe a unique feeling of eternity. I don’t know if you ever got this comment/question.. But in the movie “Interstellar”, the whole plot revolves around whether humankind should die on earth as a result of an inevitable, changing climate or we should use our current stage of evolution to push out into the universe, colonize and survive. The conflict, however, is about whether we’re capable of abandoning our sense of belonging to the ones closest to us and think BEYOND that basic, human instinct; To let the current generation die on earth and send out a spaceship with fertilised eggs that can grow and prosper in another world – thereby saving humanity. Would you say that this kind of thinking is level 7 or 8? It’s very much focused on the future of our species – and it’s, funnily enough, not a solution that we’re going to see through. BUT.. I’d say it’s a view focused towards “our global”, not just global. I live in an intentional community of almost only 5 and 6 people, achievers and greens. I see myself as a mix of both, perhaps at level 6. I I still have undeveloped aspects of lower levels, mostly power, discipline. I haven´t mastered the achiever (5) level, but I have been strongly at green level since many years. I was even a political activist early in my life. I am a strongly communitarian and tolerant of many ways of living. I have a couple of friends which are at level 7 (without a doubt). I find them very inspiring, so I see myself progressing towards that level already. They have a highly positive and integrative way of thinking, more intuitive than common 6 level folks, and often in a state of flow. I often year towards that state of flow, where I also embrace all levels before (such as red, blue or orange). Still the number 7 friends I know have flaws, and we joked that level 8 are the ones that are almost permanently in a state of flow and unconditional love. To meet people at level 7, you will have to search for them at special type of holistic events, or at level 6 communities and events. Another thing that strikes me about level 7 is their ability to live in a strange mix of moneyless/jobless and abundant money attraction. I might have met people at even higher levels. This was for example, once in India, I met a highly advanced yogi. He knew my future and had a link to the divine permanently on. He knew everything about me and what I was thinking in every moment, as if magical. But of course he was highly intuitive, to a level which I never saw again. Would that be level 8 or even 9? Paolo, you raise interesting questions. 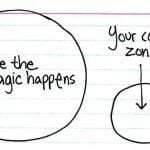 I wad luck enough to get into Spiral Dynamics 20 years ago, and have it as a background measure for all the other growth stuff (and people) I encountered since. In my experience intuition, bliss, precognition, and other spiritual achievements are far more state-related than Stage-related. The stage or verticle perspective of the exhibiting person will color the expressiom of the spiritual skill, and thus is easily confused as being connected (a mistake from way back in purple, correlation as causation). i had an enneagram 8 teacher with an electronically-verifiable brainwave state associated with one definitiom of “enlightenent,” who’se SD levels are strong from 5-6, but many of his students who are not as evolved in their brain wave output (as compared to studies of Zen monks) who were raised with Integral theory and are 6-7 in SD. His students who can ouput waking delta waves however, usually have a surprising amount of level 4 SD value dominance, which has propelled them to do their meditation and therapy exercises consistently. Also, Christians exposed to a lot of CS Lewis or GK Chesterton were getting I trodiced to a lot of integral theory before Ken coined the term, lots of inside v outside and I v We and good/true/beautiful. So ots good to measure vertocal and horizontal achievements seperately to better k ow what practices cause which type of growth. Only tool ive seen that seems to both push Stage higher and expand states is Holosync, an old and expensive binaural program. ken wilber endorses ot for same reason. Founder had u pleasant busones practices. Also he died a few days ago. But like a smartphone, its transformational tech no matter howany downsides to the busoness model. Other newer cheaper alternativesones may work too, but Holosnc is reliable because it was the forst to focus on deep delta waves, correltaed with the “enlightenment level” of Zen monks as claimed by evaluting panels of experienced meditators. I believe Chris Cowan’s widow is spearheading the training. I’m considering going through the training; I suspect it may make me more effective in addressing some of the behavioural and emotional stumbling blocks my clients encounter with their finances (I’m a financial planner). But before I take the leap, I’m hoping to learn more from people who’ve gone through the training and have access to the assessment suite. I’m five, orange, and resisting six, green. Interesting concept, for sure. I can see why people mis diagnose as higher, because I can see some aspects of seven/yellow that I identify with, though I know I don’t live there either. I took a class taught by Dr. Payne in the early ’80s at UVA. Jim Payne was a grad student with Clare Graves. I’ve been fascinated with the concept and used it with great benefit ever since. Here is a link to one of Dr. Payne’s books. might be heathy to resist green, as society is currevtly offering a very u healthy version. From Ayn Rand to Thomas Seoul to Jordan Peterson, smart people have been trying to warn us to only explore green WITH respect for the healthy parts of the levels below that it rests upon. Universal compasion and social safety nets are luxuries of societies made wealthy through rule of law and stable families, Industrial scaling, and financia deferred gratification expressed in schooling and investing. Lazy green tears those down for short term remediation of inbalances vaise ny lower levels. heathy green increases equality of opportunitu whereas understand healthy green Increases equality of outcome. There are a lot more level sevens out there than you realize. You’re not going to meet them unless you search them out. They are the people that do what they want to do in a perfectly efficient way. They are the people that have conquered their fear of death. They tend to believe in reincarnation. The work of Dr. James Payne can be incredibly helpful in understanding all of this. He has several books on amazon. Thanks for the recommendation. I’m not sure I agree that sevens have conquered a fear of death or have a tendency to believe in reincarnation. I’d say that the fear of death morphs in the second tier and definitely looks different. It’s a focus on the survival of the species, as one goes back to the basic beige ethos but through the lens of all the gained territory in the first tier. Macro is experienced as micro, or all of humanity is experienced as the self. Unlike green, however, there isn’t a sense of overwhelm. I suspect many greens become solipsistic just to manage the emotional enormity of feeling for all mankind without having any idea what to do about it. At yellow there’s a sense of recognizing that there aren’t ‘solutions’ as much as there are trajectories. Systems to be set up, tweaked and optimized in order to allow their natural emergents to ‘do the work’. I’d argue that an individual’s relationship to systems, timelines and emergents is more telling of their tier than their relationship to their ego or death, which is often the focus of green. Thanks for a fascinating introduction to this model. Can you suggest further reading that might help us make practical use of these insights? Like (just a random thought), what strategies might people who are thinking at level 6 adopt to survive & thrive in a country that’s being run by powerful 3s? Is it possible for a 6 to persuade a 3 to respect her and take her seriously, when the things that matter most to her are nonexistent in the inner world of the 3? Well this is totally cool, Antonia. Squeeee! I am at level 7 and am not at the communication level of an 8 yet tho I have moved to the precipice of 8 after the last election. There is some info on how to negotiate with all those different levels altho I would not say it’s plentiful. I’d probably have to pay for quite a bit of it and know just where to look. I’ve been interested in Ken Wilbur’s ideas for a long time. I had been thinking about going into politics yet I feel I need to know a lot more, especially in this climate, if I want to contribute what I hope to. Plus a personal life crisis has developed into a long term perhaps permanent situation. There is so much to be done on the macro level and I would love to contribute more. It’s incredible. We’re in such a tremendous transition. Well we always are but I think this is a time where people are feeling it more and they are jangly because they don’t necessarily understand why they’re nervous, and when they do understand I don’t think it makes them less nervous. There is value to having steady hands at the helm. We need a lot more of those. I need more knowledge and know-how before I’d be able to accomplish something in public service. This is a fascinating encapsulation of many good ideas, Antonia. Thanks for posting! I completely agree with this being a game changer! How have I not heard about this before? I am officially obsessed with this concept, and I would love to learn more (thinking about a second lap through the podcasts). I’m very curious how many people truly understand and value this model. I desperately want it to be more than it probably is. Do you see future podcasts or are you having to move away from it? I would talk about this all day, everyday, to everyone I know if I could. If you have any more recommendations, I’m listening! By the way, thanks so much for all that guys do. It honestly feel pretty isolated in what I want to discuss, and listening to podcasts like yours has helps me understand things at a level most people don’t want want to go. I’m an INFJ (borderline INTJ) if that explains anything. I really admire how you two think and present information! It’s a beautiful, rare service you offer. A book tht helped me a lot was my I I troduction. Its targeted at helping different SD levels insode of a Christian Church communicate to each other, but the examples are easy to see in any context you need. Its called “Systems Sensetive Leadership. It occasionally goes as high as $100.00 used, but always comes down to normal used book prices after a few months or a reprint. Also, a multimedia kit used for less than $20.00 is “integral operating system.”. I found it misfiled in the computer sevtion of HafPrice Books. Its 2 cds, one DVD, a small booklet, and a poster. Each presents a suMmary of the SD & Integral theories in a dofferent way, increasing the odds it will click with you. I’ve actually taken an inventory based on Graves and came out at a 7… (as someone says, “7s are weird birds”). But reality these are context sensitive. 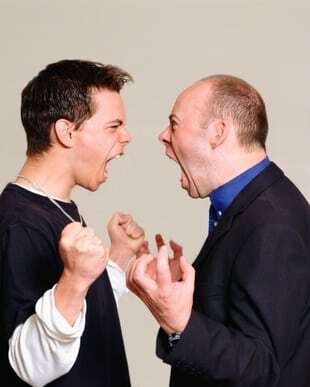 I may be at a 6 level under some contexts–and if you slap my wife in front of me I will revert to a 3 very quickly. All of these are context sensitive. A great metaphor is a football game. You have the 2s performing their communal rituals (cheerleaders), threes are lined up against each other on the field, fours are the folks wearing black and white who make certain everything is done according to the rules. Fives are in the back running the concession stands, while sixes are on the sidelines with medical bags. Those in the stands are contextually either 3s, 4s, or 5s depending on why they are there. There is a moment when the entire crowd turns into a 6 moment: when a player on the field is seriously hurt and everyone suddenly becomes quiet. When the player gets up and is escorted off the field everyone applauds–that’s a 6 moment. You can also tell a 5 or a 6 by entering their office. A 5 will have diplomas and trophies prominently placed. A 6 will have photos of significant people and their team members. In a church setting: 4s are traditionalists (do it right), 5s want to see a meaningful worship (“but get it done in an hour because I have places to go!”), and 6s just want everyone to be together (“group hug!”). Even numbers are communal while odd numbers are individualistic. Thank you Darryl for the book recommendation! Just ordered it. I have recently discovered I am also a “7”, or yellow. Makes a lot of sense and is helping me to understand more of the complexities of how I was created, and quite honestly, how to put words to the “uniqueness” of who I am. It’s been a couple of years wandering in the desert and feeling like I’m all alone. I have found such little content available on this subject. Especially in connecting it to the “spiritual” within us, and around us. Thank you again. This is not a hierarchy of values, but rather taking in increasing amounts of conceptual territory. I’d recommend going further into the model before dismissing it on first glance. Antonia, I recently discovered this post and I am very thankful for you contributing to a topic that is not widely discussed and I personally find highly relevant to our period in macro development. I would like to state my thoughts here, in hopes that it could be to your benefit and the benefit of others. I have read that 7 is considered the ‘second tier’ of the Graves model because essentially, the process reverts back to ‘Survival’, but from a very global ‘humanity’ sense. Instead of seeking physical self survival (and I stress ‘physical,’ because it is a huge distinction), the ‘thought leader’ (which I don’t consider to be a ‘thought leader’ so much as a ‘existential survivalist’), starts to realize that he is not fulfilled by 1-6 and starts to requestion what his needs are, since history shows them as never being met. He then seeks to find an existential answer of what ‘humanities’ needs really are, and as a me-centric focus, he starts this with himself. He analyzes the preceding systems as he is now consciously aware of them, and seeks to find a way to ‘existentially survive’ in it while watching it from a distance and trying to manipulate it. Eventually, the 7 will find a mystic understanding of what these human survival needs are by seeing that humanities needs are unfulfilled because, because humanity is caught up trying to use 1-6 for physical, self realization. The 7 then seeks to form a community in order to fulfill humanity’s existential survival needs. We are now looking at level 8, or the ‘second tier 2.’ Other levels may even confuse it for 2 because it appears so similar. I’ll nickname it ‘Existential Global Tribe’ to relate to your model. He seeks to form a global community where the focus is on humanity rather than the self. Existential survival of humanity becomes highly important, and he seeks to work within the levels of 3, 4, 5, 6, and 7 to redefine humanity’s needs. It is hard to see ‘8’ because it is hard to have a community-based level when their are so few to form a community from, and that it is seeking a community from humanity as a whole that will not be possible at this point from a Macro level. I believe that 6 and 7 still need to be fully explored on a macro level for 8 to even be possible. As it stands now, 4,5, and 6’s will look at 7 and 8 as being way too out of touch with reality, as they do not seek the same physical, or even ‘self-expression’ behaviors as any of the other levels. They are 100% foreign, as no one understands why they have so much understanding of themselves, and yet do appear to be seeking physical needs being met aside from what is necessary to meet basic 1 level needs. 7 and 8 drop a sense of personal ego, and redefine the first tier from a place of ‘Humanity’s’ needs as opposed to the ‘Self’s’ needs. I believe you may actually be on 8 unknowingly, from what your goals are with Personality Hacker. I believe your confusion over 8 stems from you seemingly blending 7 with 8. 7 is standalone individuals, having not found fulfillment from 1-6 and trying to redefine what humanity’s needs could possibly be outside of those 6 – because he fears that humanity – seeking to achieve fulfillment through the struggles stemming from 3 through 6 will ‘kill’ humanity. 8, having realized that needs won’t be met if you just keep standing by trying to ‘find’ them, chooses to work with what he’s got and from a bond and connection with humanity, as now he is even more fearful (but understanding) that 1-6 are killing humanity and that it ‘is our duty’ to save it. As such, being so existentialist – it reverts to a strange sense of ‘woo woo’ mysticism reminiscent of the tribal level. As such, you will see 8s appear as very spiritual type but global in scope and seemingly not caring about physical fulfillment or achievement. Think ‘Ghandi’ and ‘Buddha’ as examples. They do not seek 1-6 for meeting physical needs, instead they seek to create a community of people focused on meeting humanity’s existential needs. I ranted, but this is my understanding of the model and I am open to being wrong. I hope to hear your take on this. I will site a link I found that made me come to understand the model in this way, and I will provide that link in another comment. How did I miss this comment from Romulus. Glad it is still here. Revisiting this page. I would say this is a great way to put things about level 7 and 8. As an ENTP I don’t resonate with any of this. May be due to a complete lack of self reflection, since this theory is so widely excepted and if this in fact the way it is for all people. But don’t resonate with blue at all, feel like maybe I was at that when I was 10 but always felt a nagging sense of being oppressed and anti conformist, though my religious family and pressure to be accepted effected my beliefs to an extent. Never went through a “rebellious” phase, just always kind of gauged which rules I followed and which ones were ridiculous, and I don’t believe in heirarchy so though I didn’t have reverence for adults or authority figures I did have mutual respect, just as I did with my supposed “inferiors”, even when I would easily get away with a little pompousness and down talk. Never been power hungry really and I hate the idea of controlling people, would much rather convince or persuade. I would guess I would be closest to stage orange, but I think this is super cookie cutter and maybe not all encompassing. I hope “this is super cookie cutter” is based off of having already read the book Spiral Dynamics (and other reference materials) and thoughtfully coming to that conclusion, not simply reading an article overview of said model and jumping to that conclusion. Do you feel differently now about where the developed countries are at now that we have had the US election? It seems like a clear divide between groups of people who are at distinctly different levels. Can you explain what you mean by, “not every voices needs to give the exact same honour”? I’m thinking it has to do with realizing you don’t need to honor every voice in the same way– that there may be a hierarchy to giving others a fair hearing? But then I think maybe you mean that the person sees that not everyone is going to give others the level of honor they deserve, and you learn to be okay with that? I’m a little confused, haha. Once one has entered a phase where the true/false, right/wrong dichotomous thinking scales have fallen off their eyes there’s a time period where they reject any idea of it. It seems like ‘ego’ and at early 6 ego transcendence becomes a big deal, and believing there is a superior way feels like ego. Its manifestation is often that all voices need be heard and given honor, otherwise you’re projecting your ego onto the collective. At 7 this is no longer an issue. Ego manifestation isn’t really an issue, since ego has absorbed humanity. 7 is the first level of the Second Tier, and the fears/fixations of earlier levels are no longer relevant. Well, except that they surround you in form of everyone else. So they’re still concerns, but not because of you. Very interesting. I see that there seems to be almost no content about this on the internet. What would be the best way to learn more about this model? You can also check out Don Beck’s program and work on Spiral Dynamics, and anything Ken Wilbur has written on the topic. Be warned – Ken Wilbur’s stuff is the deepest, but it is DENSE. I mean, like, tomes. I find Ken Wilber’s books as the most excellent, on this topic..
What about the scenario when person is at a certain level, internally, but still living in a lower level world, not by choice but by circumstances? This definitely happens. Usually, the person feels they aren’t reaching their full potential and becomes frustrated or depressed. This information just may be one of the most significant pieces to the puzzle I have been attempting to solve for quite a while now. It makes absolute sense as to why I am so conflicted on a daily basis, and can even feel paralyzed or immobilized often, about how to move forward in my life at this point. Antonia, I would LOVE to elaborate in detail if we are able to discuss it privately through email. I am not sure if you have a policy on this or not, but I do also have several personal questions. So, if you do have the time to chat, at your convenience, an email would be absolutely amazing and greatly appreciated! /psychological resources I already have? As of people at higher levels i think Eben is a 7, when he talks about “learning about learning about learning” i feel my head is exploding. Ken Wilber maybe is even higher because when HE starts talking i freeze like the blue screen of death for microsoft.